This area has tiled flooring, feature fireplace with tile hearth and t.v & phone points. This area has tiled flooring , fitted kitchen units with integrated appliances, and French doors with lead to the rear courtyard. This area has solid pine flooring and the hot-press and access to the attic are located here. From Gort, take the N18 towards Galway city, after the roundabout at Glenbrack take the second right into the "Cuirt Bhreac" development. Continue into this development take the left and this property is on the left side. Look out for our Farrell Auctioneers & Estate Agents LTD sign!! 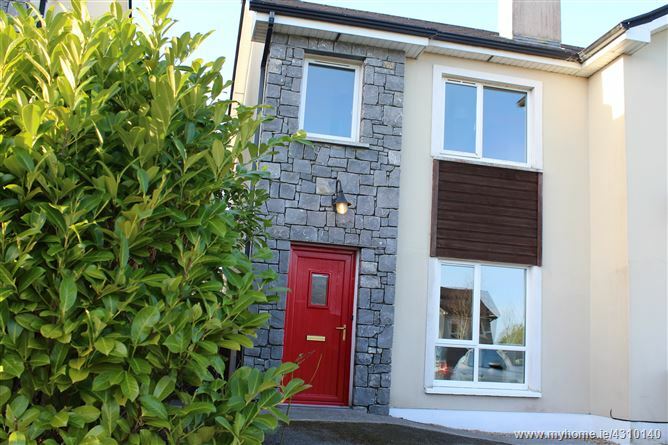 Viewing is strictly by appointment only to arrange a viewing, please contact Farrell Auctioneers & Estate Agents LTD on 091 - 632688 or 086 - 2455925.